Exotic Papagayo Gulf is a vacation package that will take you on a trip for the most beautiful province in Costa Rica; Guanacaste. You will stay at Coco Beach only 25 minutes from the Liberia Airport. From here you will enjoy all your adventures as the zip lines by the Rincon de la Vieja Volcano or the Safari Boat at Palo Verde National Park. 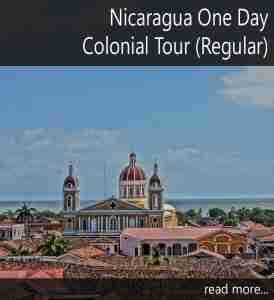 As well you will visit in one day the southern side of Nicaragua, visiting the colonial city or Granada founded in 1524. Enjoy your snorkeling tour at the Papagayo Gulf and relax on secluded white sand beaches and relax on the hot springs or the Arenal Volcano. Day 10 Enjoy your last morning in Costa Rica and take your transfer to the International Airport for your flight back home. Pura Vida! Package includes 10 Days / 09 Nights. 09 Nights in Deluxe Private Condo at Coco Beach. Palo Verde Float & Coffee Tour. Arenal Volcano, Fortuna Waterfall & Hot Springs. One Hour Relaxing Massage per person. Hotel & Sales Taxes Included.